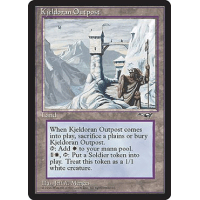 If Kjeldoran Outpost would enter the battlefield, sacrifice a Plains instead. 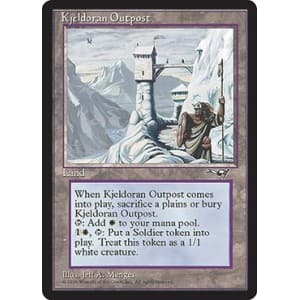 If you do, put Kjeldoran Outpost onto the battlefield. If you don't, put it into its owner's graveyard. , : Put a 1/1 white Soldier creature token onto the battlefield.